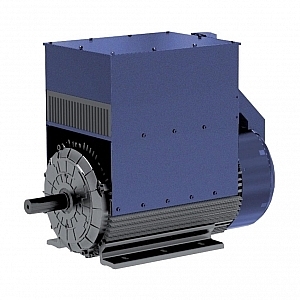 A range of totally enclosed alternators 1/3ph, 2 & 4 pole from 2kVA to 80kVA, protection from IP54 (up to IP67 on request). 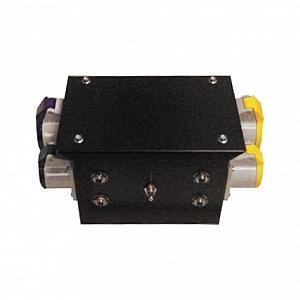 Brushless, AVR electronic regulated. We offer a diverse range of easy functionality such as 1 and 3 phase sockets, but also as a wide variety of free or wall-mounted low voltage distributer panels. 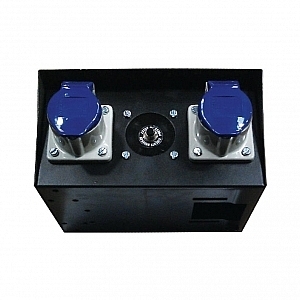 Metal socket box with 2 x 16A 110V + 1 x 16A 230V CEE socket, MCB. 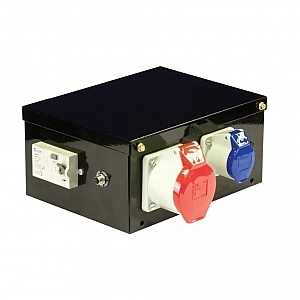 Stepped metal socket box with 2 x 16A 110V CEE socket, changeover switch and MCB. 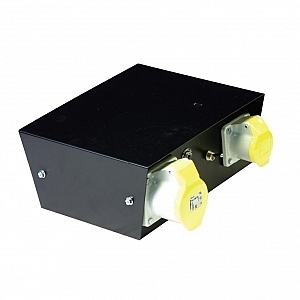 Stepped metal socket box with 1 x 32A 415V + 1 x 16A 230V CEE socket, MCB and LED meter. 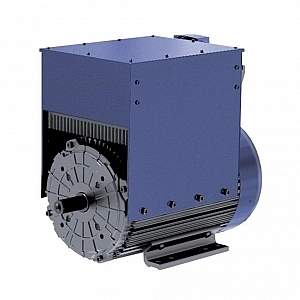 Metal socket box with 1 x 32A 415V + 1 x 16A 230V CEE socket, MCB. 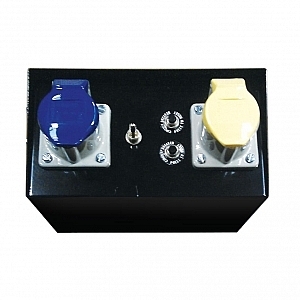 Metal socket box with 1 x 16A 110V + 1 x 16A 230V CEE socket, changeover switch and MCB. 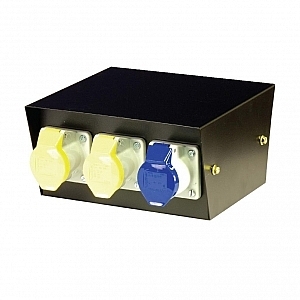 Metal socket box with 1 x 16A, 1 x 32A 110V + 1 x 16A 230V CEE socket, changeover switch and 3 x MCB. 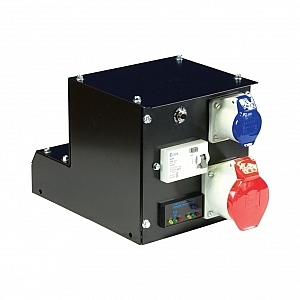 Metal socket box with 2 x 16A 110V + 2 x 16A 230V CEE socket, changeover switch and 2 x MCB. 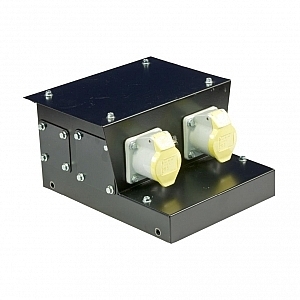 Metal socket box with 2 x 16A 230V and 1 x MCB. 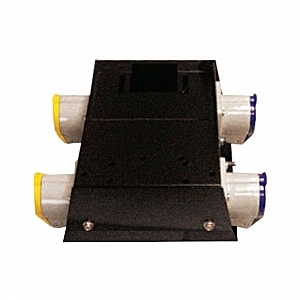 Stepped metal socket box with 1 x 16A, 1 x 32A 110V + 1 x 16A, 1 x 32A 230V CEE sockets, rotary switch and 3 x MCB.